NIO Authorized: Required The NIO IO Device is for designed for trained Medical Professional Use Only. 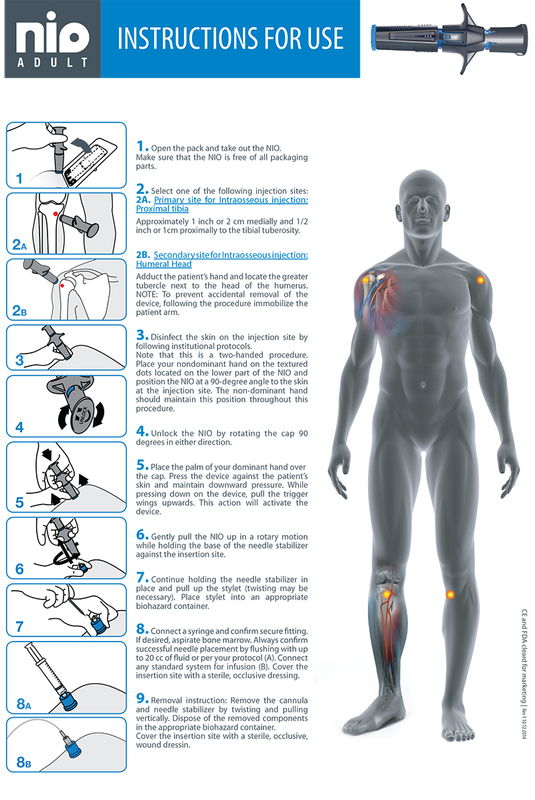 By selecting this checkbox I acknowledge and certify that I am a trained medical professional authorized by Federal, State, and/or Local policies, rules, regulations, guidelines, protocols, and/or laws to purchase and use the NIO IO Device. The NIO is a simple, automatic intraosseous device ready for rapid placement into the lateral tibial tuberosity or humeral head. No batteries, no drilling and a five year shelf life.